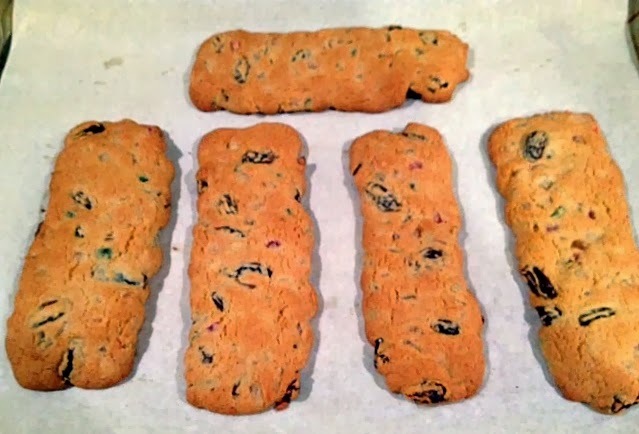 A long time ago, a medical librarian at a hospital where I worked gave me this recipe, whispering that these were the very best Christmas cookies in the world. 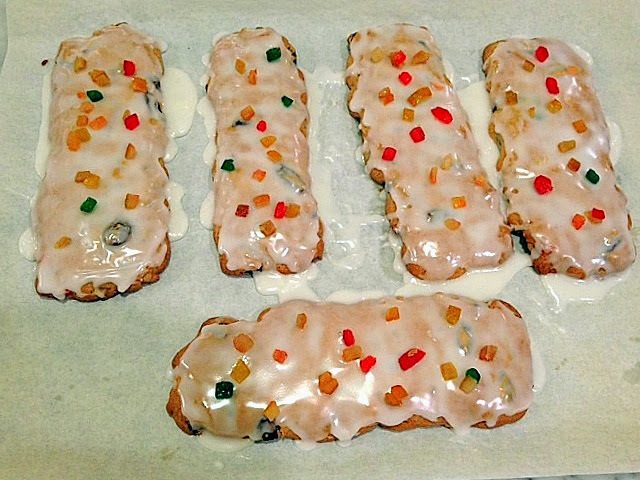 Not being a fan of candied fruit, I avoided the recipe for years but finally took the plunge last night. 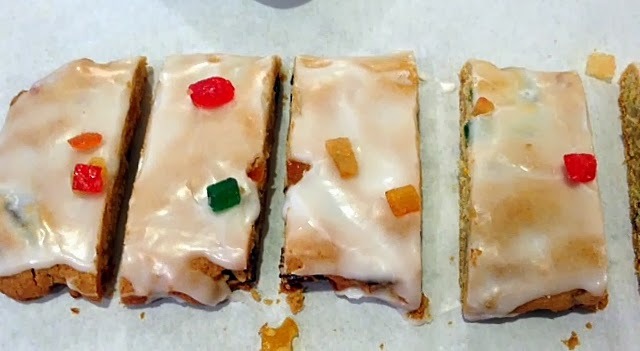 And while Frosty Fruit Bars are not my favorite cookie, they are pretty good and just gorgeous to look at. 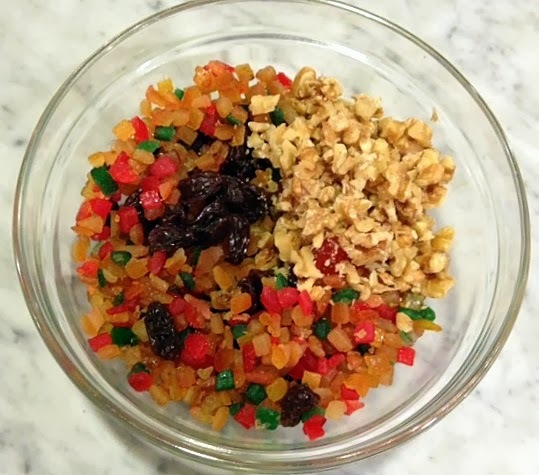 The first order of business is to get some high quality candied fruit, some raisins and chopped walnuts. 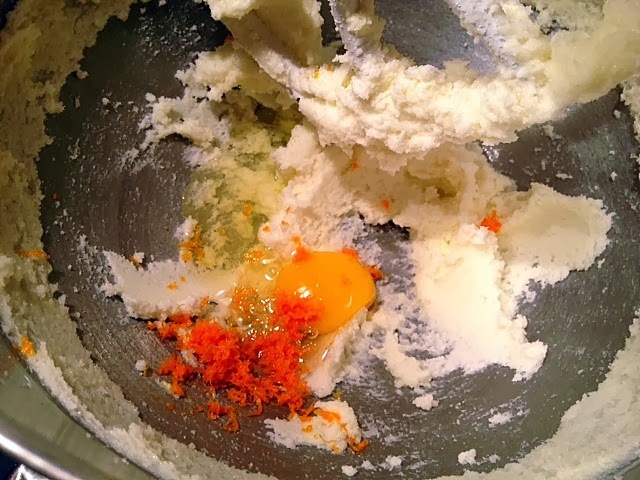 Next, mix up the batter, adding in an egg and the zest of one orange. 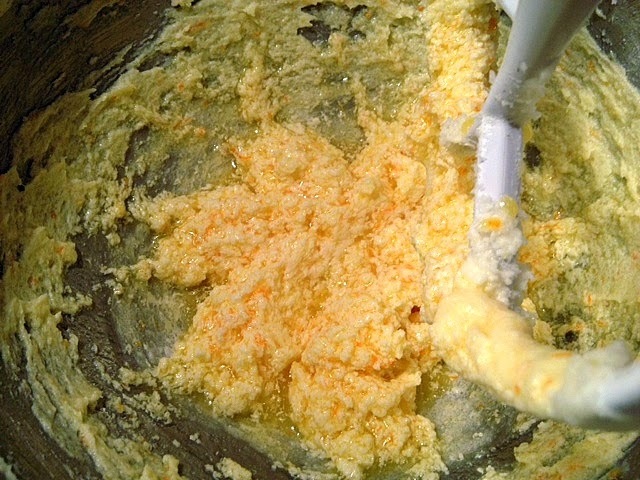 The batter will appear curdled (below), but carry on; it will smooth out in the end, once the flour is added. Add in the fruit and nuts and let the fun begin. 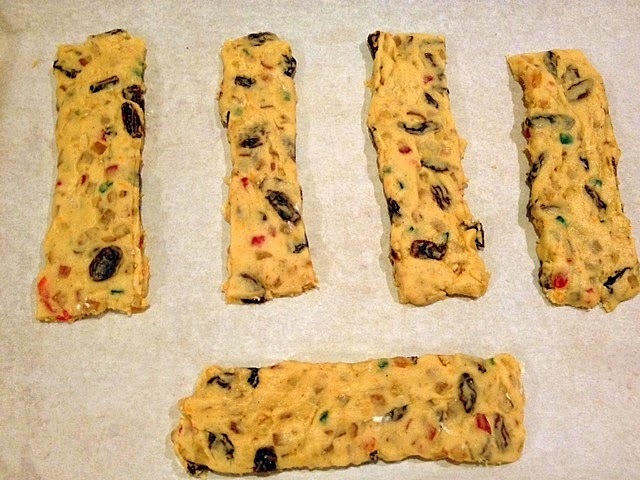 Divide the dough in half and roll out each into a 7 by 12 inch rectangle. 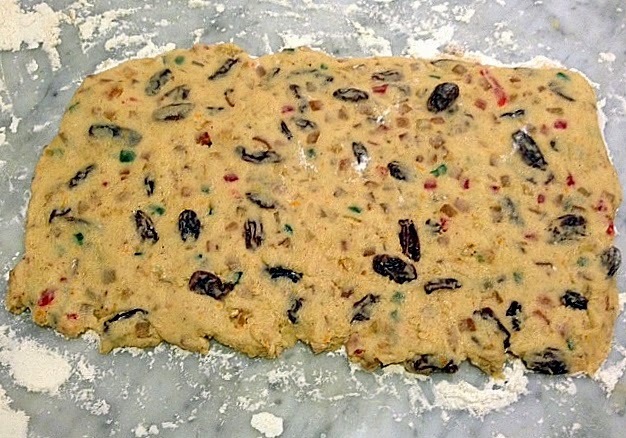 This is most easily accomplished by refrigerating the dough first. Cut into strips and place on a baking sheet. Bake for about ten minutes and let cool slightly, right on the baking sheet. Next, frost with an icing made by combining confectioner's sugar with a small amount of milk. No need to sift the sugar; it will dissolve if you continue to stir. 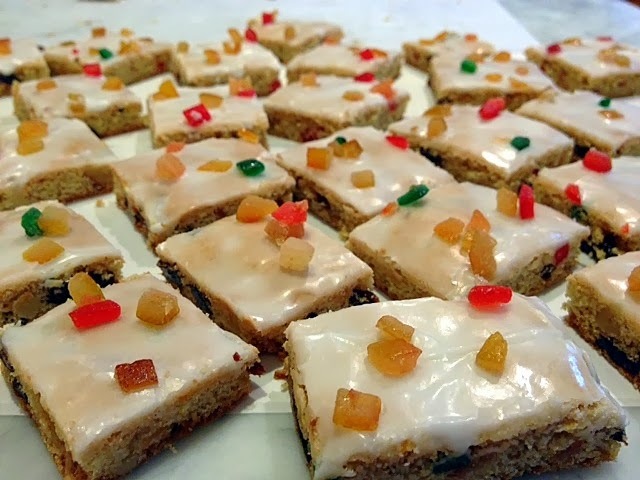 Decorate with candied fruit immediately after frosting, to ensure the fruit will adhere properly. You can simply cut these into strips, and you'll get something like this. 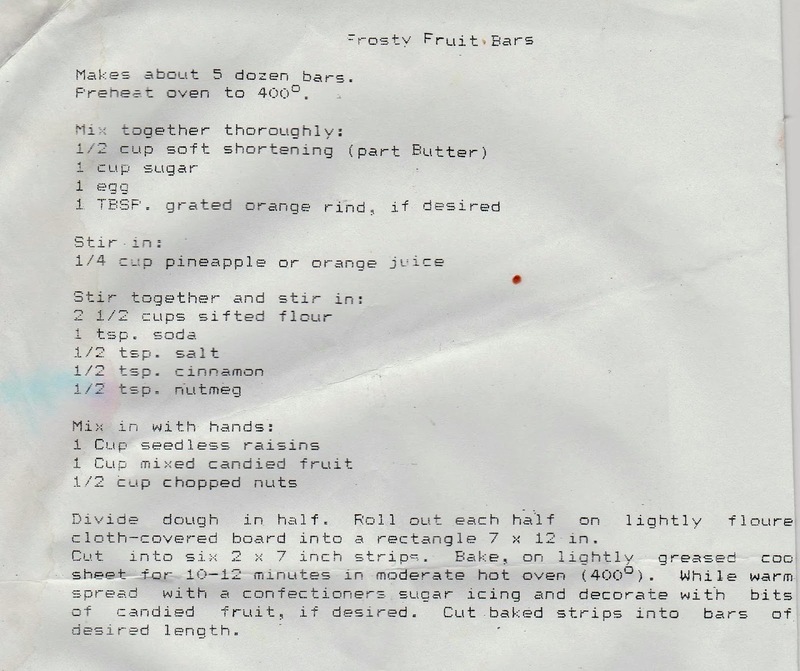 Recipe, below. I followed it exactly, but used all butter for the shortening and orange instead of pineapple juice. I also just dumped the fruit into the mixing bowl and let it rip, i.e., I did not use my hands to mix it in. Beautiful! 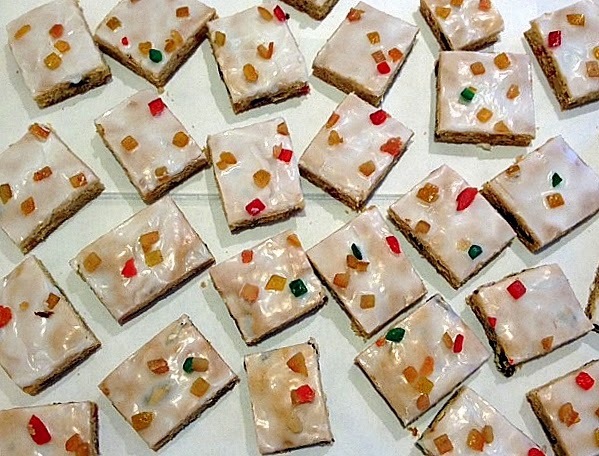 Where do you buy candied fruit these days? I remember in the "old days" you would always see it at Woolworth's during the holidays. I bought these at A Sweet Life, a small candy store on Manhattan's Lower East Side. They have very high quality goods, but had none on display. I asked the shopkeeper and he pulled out a large cardboard box, which contained these and also lots of other similar candied fruit. I also bought some cherries, but they're just gathering dust in my pantry at the moment.